Improve your and your kids skills on the free throw line and improving your overall skills in the privacy of your backyard. Keep your kids safe, know who their friends are and get them off their cell phones and away from the TV. Get the family out there and play. 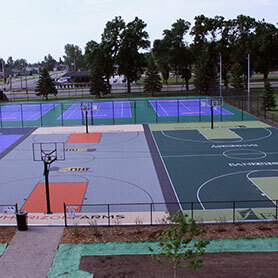 We build more backyard basketball courts here in Wisconsin than anyone! Arguably the most popular sport out there, we bring thegame into your backyard. We custom build each of our courts to your desires, from the small shooting court as small as 20'X25' to the perfect half court at 30'x50'! 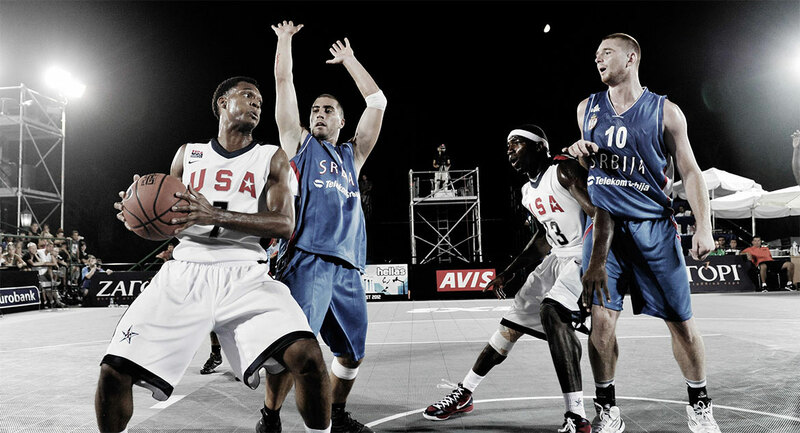 You can hoop it up like the pros and we here at Sport Court WI are here to help. 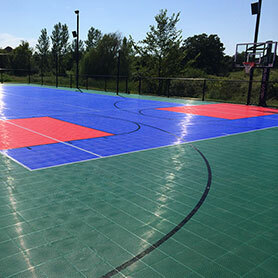 Our Sport Court athletic floors react more like a gym floor than the hard concrete and are much more forgiving to your body, and will last for years here in Wisconsin. We carry a full line of options to make the court show off your personality, from custom logos, lighting options, ball containment, and shooting aids. To complete your backyard basketball court add an adjustable SlamSystem™, one of the best hoops you can buy. We also offer a full line of other quality hoops, from Goalsetter, First Team Gared and Spalding.